This post contains affiliate links to products I own, use and love. With the holidays approaching fast and furiously, I thought it would be a good time to bring my Joyful pillow wrap back home. 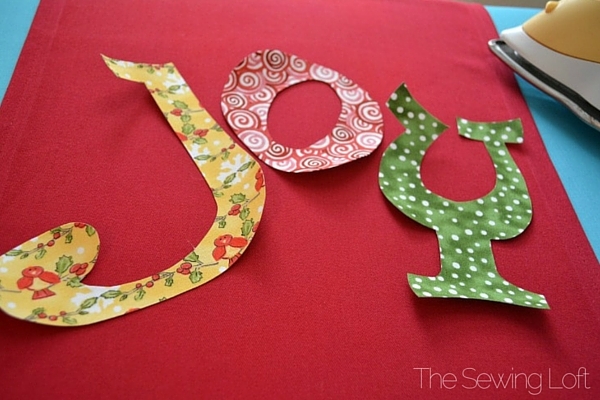 This way, you have plenty of time to stitch up a few and sprinkle some holiday cheer around the house. * Note- If using a different size pillow you will need to measure and adjust the size of your wrap as needed. Trace letters onto the paper side of Heat n Bond; leaving 1/2″ spacing between each piece. 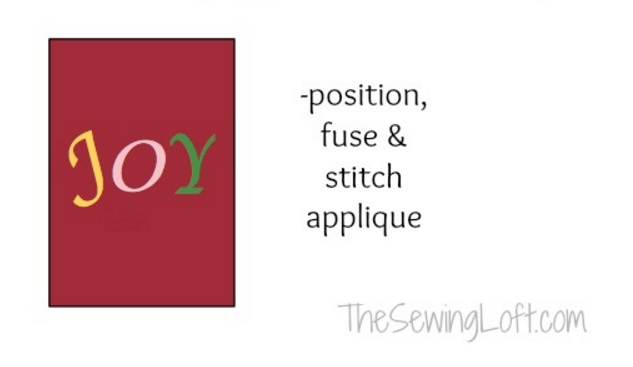 Trim letters apart leaving 1/4″ seam allowance and adhere heat n bond to wrong side of fabric to create applique. Carefully trim each letter to size; set aside. Cut main wrap fabric 14″ wide X 29″. Turn under and press 1/2″ along each long edge of wrap. Turn under again to create a double fold hem. Stitch in place with matching threads. Repeat along each short end. Separate the hook and loop tape. Stitch one half of tape to each end of wrap as shown, stitching close to all edges. Position and fuse applique in place in center of wrap. Stitch in place using a decorative stitch or free motion. 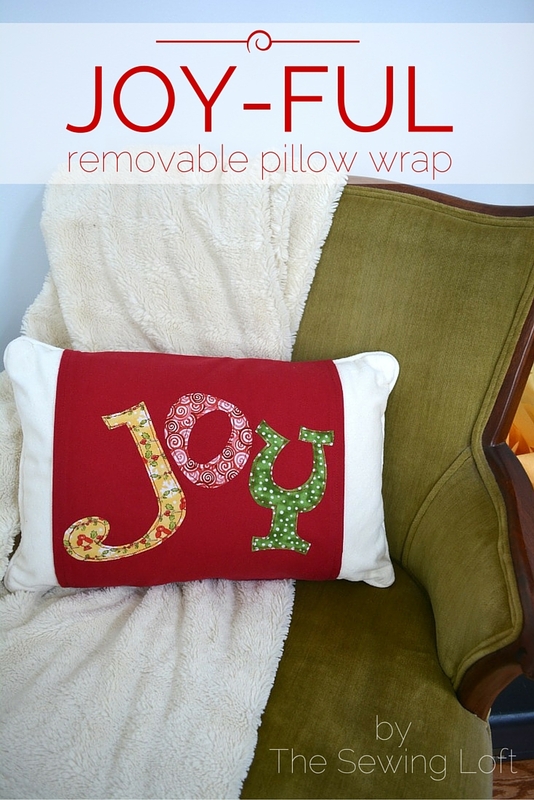 Place the wrap around pillow and secure with hook and loop tape. 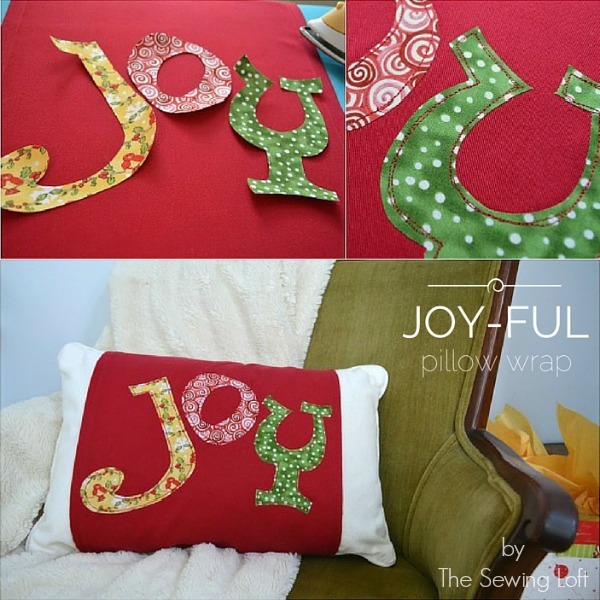 This project is super easy to make and if time is not on your side, you can skip the stitching around the letters and just let the fusible do it’s thing. Just think about how many ways you could use this project idea; tea towels, gift bags, napkins, table runner and more.